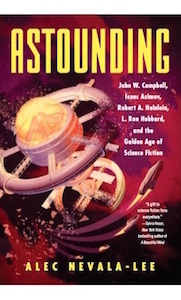 [Science fiction] is, then, a literary genre whose necessary and sufficient conditions are the presence and interaction of estrangement and cognition, and whose main formal device is an imaginative framework alternative to the author’s empirical environment. I am trying to express an attitude toward the building of very simple models. I don’t think that models…lead directly to prescription for policy or even to detailed diagnosis. But neither are they a game. They are more like reconnaissance exercises. If you want to know what it’s like out there, it’s all right to send two or three fellows in sneakers to find out the lay of the land and whether it will support human life. If it turns out to be worth settling, then that requires an altogether bigger operation. The job of building usable larger-scale econometric models on the basis of whatever analytical insights come from simple models is much more difficult and less glamorous. But it may be what God made graduate students for. Presumably he had something in mind. The depth and not the tumult of the soul. The usual poetic metaphors, then, are individual creations on the model of the regular linguistic transference. The picturesque saying that “Language is a book of faded metaphors” is exactly the reverse of reality, where poetry is rather a blazoned book of language. The more effective stories resemble ramparts from which one can gaze out at everything that has been excluded.